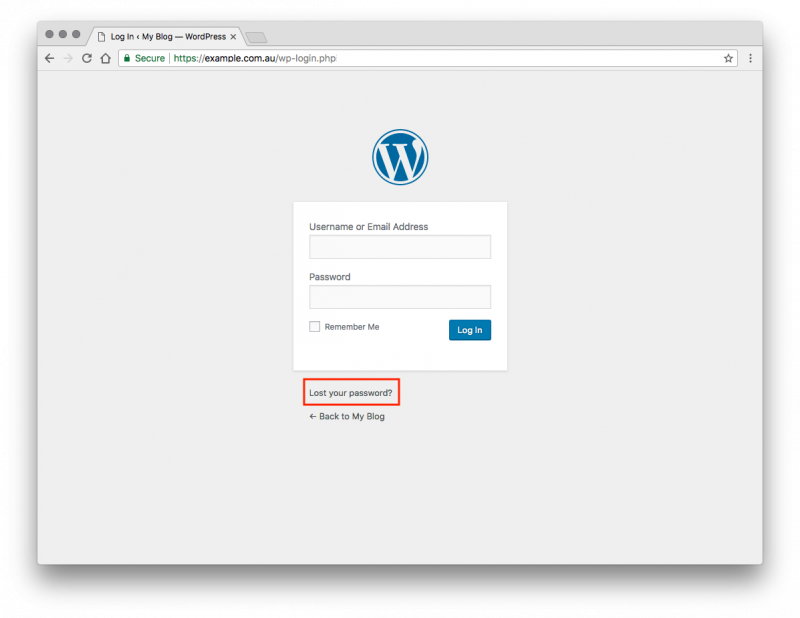 To reset your WordPress administrator password, simply visit the dashboard login page; ie. http://example.com/wp-admin and choose ‘Lost your password?’. Enter your email address or username of your admin account, then check your email for further instructions.